Albino Lullaby: Episode 1 is available today. You can purchase it from the main lobby of the Oculus Store, or on Steam as part of the SteamVR launch day sale for $9.99 or as part of the Season One Pass for $24.99. If you purchased the game already (before March 28) you can request the VR Steam key here. “Players are finally getting to experience Albino Lullaby the way it was intended, in gloriously immersive VR. The response has been so positive that we’ve decided to take it to the next level, by incorporating Vive room scale and hand controllers. 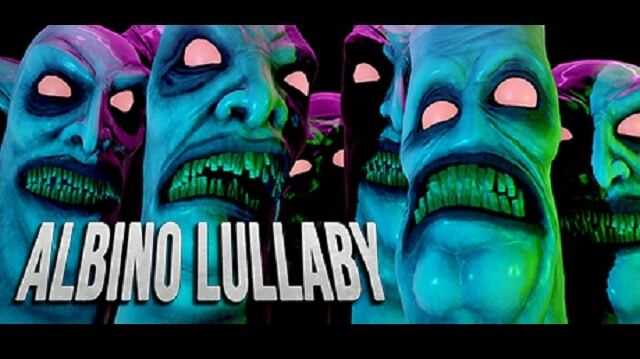 Albino Lullaby will have a whole new angle on immersion available to the public as soon as it’s ready!” said Justin Pappas, creative director of Albino Lullaby and Founder of Ape Law. Albino Lullaby: Episode 1 is available from the main lobby of the Oculus Store, or on Steam as part of the SteamVR launch day sale for $9.99 or as part of the Season One Pass for $24.99. • The Next Gen of Adventure Games – Player driven pacing, no cutscenes. • Transforming Game Space – Mechanical mansion deconstructs around you. • Environmental Storytelling – Intricate backstory conveyed through the game space. • Different Play Styles – Sneak or gung ho! • Episodic Releases – Pay as you go or get a season pass. • VR Ready – Built from ground up to play great on the Oculus Rift, Vive and Morpheus. With a game space that dynamically twists and contorts around you in real time, as you unravel an equally twisted narrative, Albino Lullaby shows that horror can be scary without jump scares or gore. Escape a surreal, psychological nightmare set in a dark and macabre Victorian town that clings to the precipices of underground cliffs. Discover hidden spaces haunted by ‘The Grandchildren’ and uncover clues to understanding just where and what you are. HTC Corporation aims to bring brilliance to life. As a global innovator in smart mobile devices and technology, HTC has produced award-winning products and industry firsts since its inception in 1997, including the critically acclaimed HTC One and HTC Desire lines of smartphones. The pursuit of brilliance is at the heart of everything we do, inspiring best-in-class design and game-changing mobile experiences for consumers around the world. HTC is listed on the Taiwan Stock Exchange (TWSE: 2498). http://www.htc.com. Next Post:Are you ready to Enter The Gungeon?